A Short History of Byzantium is renowned historian, and author of A History of Venice, John Julius Norwich’s classic history of Byzantium Constantine the Great moved the seat of Roman power to Constantinople in AD 330 and for eleven brutal, bloody centuries, the Byzantine Empire became a beacon of grand magnificence and depraved decadence . . .Here then are the centuries dominated by ferocious arguments over the nature of Christ and his Church. By knowledge, where scholars and scribes preserved the heritage of the ancient world. By emperors like Justinian the Great and Basil the Bulgar-Slayer – men pious, heroic or monstrous. By creativity, as art and architecture soared to new heights. 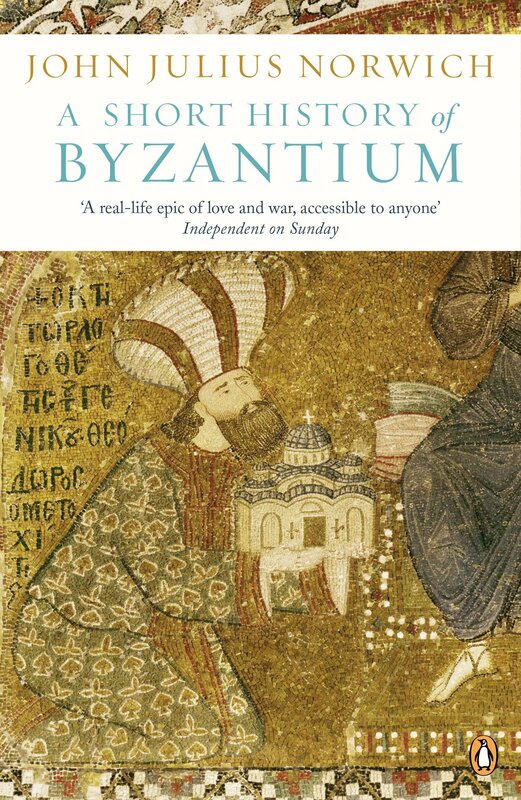 In this abridgement of his celebrated trilogy, John Julius Norwich provides the definitive introduction to the savage, scintillating world of Byzantium.’Norwich has the gift of historical perspective, as well as clarity and wit. Few can tell a good story better than he’ Spectator’A real-life epic of love and war, accessible to anyone’ Independent on Sunday’Norwich tells a remarkable story with boundless zest. He offers character sketches of the appalling personages who infest his narrative . . . with the assurance of a Macauley or a Gibbon’ Daily TelegraphJohn Julius Norwich was born in 1929. He was educated at Upper Canada College, Toronto, at Eton, at the University of Strasbourg and, after a spell of National Service in the Navy, at New College, Oxford, where he took a degree in French and Russian. In 1952 he joined the Foreign Service, where he remained for twelve years, serving at the embassies in Belgrade and Beirut. In 1964 he resigned from the service to write. He is the author of histories of Norman Sicily, the Republic of Venice and the Byzantine Empire. He has written and presented some thirty historical documentaries on television, and is a regular lecturer on Venice and numerous other subjects.